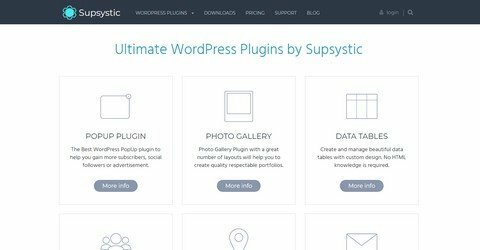 Special offer – Get 80% discount for buying a license for 12 most used Supsystic Plugins: Contact form, digital publication, Live Chat, Coming soon, Pricing table, Data tables, Social buttons, Popup plugin, slider plugin, Photo gallery plugin, Google maps plugin, Backup plugin. Get Supsystic bundle now and save over $300! All readers at WP Daily Coupons get 80% discount on all Supsystic Plugins. No time limit.